Congress approved $19 million for Florida in March for election upgrades. Faced with cyber-security threats to their voting systems, Florida election supervisors say they want access to the $19 million in federal election security money Congress approved for all 50 states nearly two months ago. But the state doesn't have the money partly because it hasn't submitted the necessary paperwork and election officials say they're growing impatient. "We sure wish the money was available. It's frustrating," said Supervisor Mark Earley in Tallahassee's Leon County. "This is a big deal. There's certainly room for improvement, especially in smaller counties." Congress included $380 million in a 2018 budget bill and in March directed the U.S. Election Assistance Commission to distribute the money to states. President Donald J. Trump signed the budget bill on March 23. "The EAC is releasing this money quickly so that the grants can have an immediate impact," the commission said on March 29. The money will help counties "immediately begin system upgrades." The feds say the money can be spent to replace voting equipment using paper ballots (the system in Florida); create post-election audit systems to ensure accurate results; upgrade voting systems to protect against "cyber vulnerabilities," and train employees. Meanwhile, elections officials say they need to harden systems against threats, improve technological security and better educate voters. All that costs money. Plus, there's an urgency to spending that money sooner rather than later, like after November. U.S. Sen. Marco Rubio has said that Florida's importance as the nation's biggest battleground state makes the state a prime target for attempted cyber-attacks like the kind that took place in 2016, when the FBI called election supervisors together on a Friday afternoon to warn them of a "malicious act in a jurisdiction in Florida." Elections officials are looking locally for money now, preparing next year's budgets to present to county commissioners. This week, for instance, the election supervisor in Gainesville, Kim Barton, asked for more money for a truck, costs of printing an exceptionally long ballot, and for a new computer monitoring sensor known as ALBERT. But what about all that federal money? Paul Lux, supervisor of elections in Okaloosa County and the new president of the supervisors' statewide association, said: "We are still in an ongoing conversation with the state over disbursement of these funds." Lux called Florida "one of the most proactive states" in taking steps to fight intrusions either by Russians or by others determined to disrupt the Florida voting system. Still, time is running out. With a statewide primary election a little more than three months away, the state has not relayed too much information about the money, said Miami-Dade Supervisor of Elections Christina White. Florida's share of the federal pot is $19.2 million. By law, states must match 5 percent of the federal total, or about $959,000 in Florida. 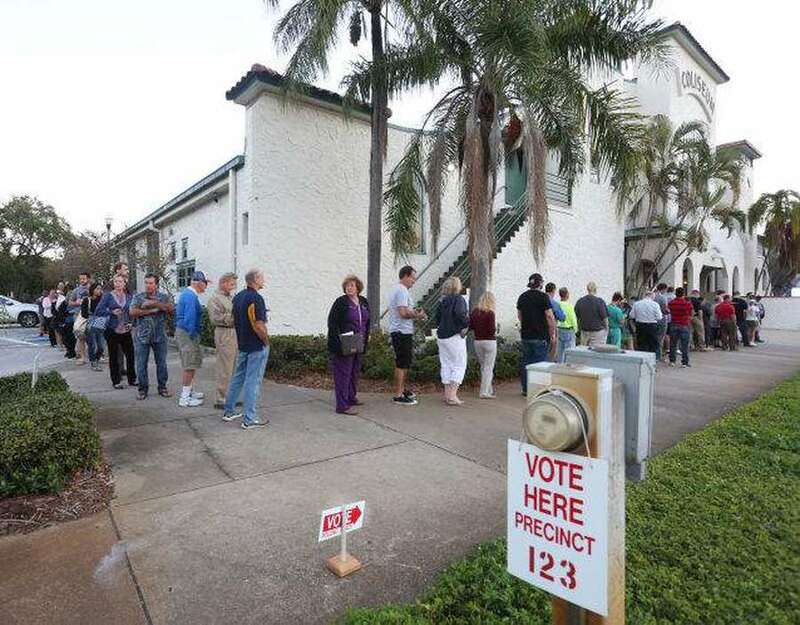 "The Department of State is in the process of determining the best use of this funding to support state and local election officials in order to ensure the continued security and integrity of Florida's elections," said agency spokeswoman Sarah Revell. Florida still must submit extensive paperwork to qualify for the money. Every state must submit a detailed summary of timeline, description and project details to the feds to get the money, Revell said. She said that when the money finally does arrive, hopefully by summer, the state will have to obtain legislative approval to spend it. Revell said the agency is focused on distributing $1.9 million in federal money to counties to pay for network monitoring security solutions to check for suspicious activity in voting systems. Scott asked the Legislature for five cyber-security experts in the state Division of Elections, but lawmakers rejected the request. Instead, the state will hire five consultants with cyber-security expertise. The application window for those five positions closes today.